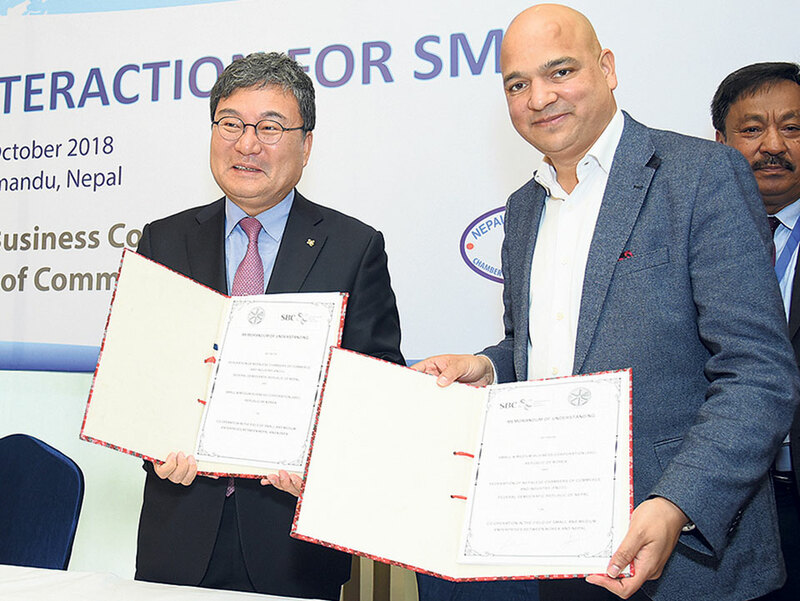 KATHMANDU, Oct 31: Two private sector organizations of Nepal and South Korea have agreed to work for the development of small and medium enterprises (SMEs). Federation of Nepalese Chambers of Commerce and Industry (FNCCI) and Small and Medium Business Corporation (SMBC) of South Korea inked a memorandum of understanding (MoU) on Tuesday for the partnership on promotion and development of SMEs in two countries. FNCCI's Officiating President Shekhar Golchha and LeeSang Jik, president of SBC Korea, signed the MoU on behalf of their respective organizations. According to a statement issued by the FNCCI, the MoU, among others, include provisions related to joint efforts for increasing competitive capacity of SMEs of both countries, sharing of expertise and information, and increasing economic and business cooperation between the two organizations. “We expect that the MoU will help in developing SMEs of the two countries and eventually support in socio-economic development of people of both countries,” read the statement. The MoU includes provisions on areas of cooperation, implementation unit and financial management, among others. According to the statement, the MoU also lays out focus on works to increase competitive capacity of SMEs, sharing of laws, technology, knowledge and skills, market promotion and lobby with respective government to amend laws and policies to make them contextual. Following the MoU, both organizations will share information and notices related to SMEs of respective country through their websites. Special promotion and exhibition of SMEs and their products of each other's country in trade fair organized in respective countries, holding interactions on SMEs promotion and development, arrangements of field tour and study of SMEs in each other's country, and cooperation for technology transfer are some other works that will be carried out after signing the MoU, according to the statement. Speaking at a business to business interaction following the signing of the MoU, stakeholders of both countries said that there was a scope of more business and economic ties between the two Asian countries. Stating that the trade volume of the two countries is very small, they said that the MoU will also help in promotion of trade between the two countries. 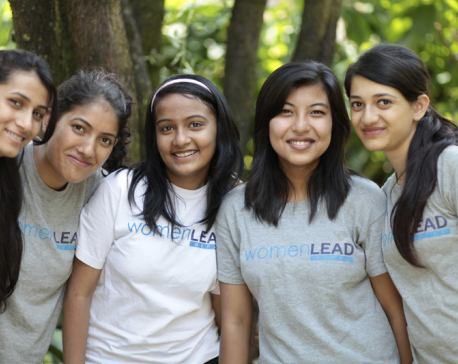 They also highlighted the lack of financial access, entrepreneurship motive, training and skills, and promotion of market as barriers for development of SMEs in Nepal. According to FNCCI, Nepal suffered trade deficit f US$ 82.6 million with South Korea in FY2016/17.